The Port Health Organisation, Cochin was established in the year 1942 to ensure prevention of entry of Quarantinable diseases (Diseases subjected to International Health Regulations) into the country under Indian Port Health Rules 1955. Port Health Organisation, Cochin is a subordinate office under Directorate General of Health Services under Ministry of Health and Family Welfare, Nirman bhavan, New Delhi. Port Health Organisation, Cochin was established in the year 1942 to ensure prevention of entry of Quarantinable diseases (Diseases subjected to International Health Regulations) into the country under Indian Port Health Rules 1955. 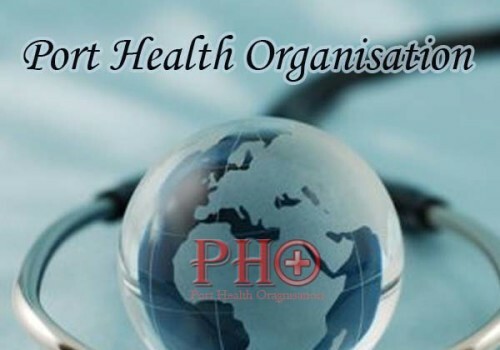 Port Health Organisation, Cochin is a subordinate office under Directorate General of Health Services under Ministry of Health and Family Welfare, Nirman bhavan, New Delhi. Cochin Port is an all-weather natural port. Among all the Indian Ports, Cochin is located closest to the international routes, being only 11 nautical miles from the Gulf to Singapore route and 70 nautical miles from the Suez Canal – Far East route. Excellent connectivity with Tamil Nadu, Andhra Pradesh and Karnataka by road, train, air and waterways. Facilities for supply of water and bunkering to vessels. The Single Buoy Mooring System of the BPCL – Kochi Refineries Ltd is located at a distance of 19.5km from the shoreline. The facility is capable of receiving Very Large Crude Carriers of up to 300,000 DWt. The SBM is connected by submarine pipelines to shore tank farms facilities at Puthuvypeen under Cochin Port. The project was operationalised in December,2007. Being the closest Indian Major Port to international shipping routes, Cochin port has set up an International Container Trans-shipment Terminal (ICTT) at Vallarpadam Island. This state-of-the-art terminal will have an annual handling capacity of 3 million TEUs when fully developed. Phase-I of the terminal has been commissioned on 11th February 2011 by Hon’ble Prime Minister of India and is now in operation. Cochin Port has set up a LNG terminal and re-gasification plant in Puthuvypeen area of the Port. The LNG terminal will consist of jetty for LNG vessels. Cochin port has been attracting the largest number of cruise ships among all Ports in the country. In order to tap the huge potential of cruise tourism, Cochin port is constructing an International 1500 m2 Cruise Terminal on BTP Jetty, Willingdon Island.